This is a reoccurring series on Macheesmo that shows life from the point of view of my phone. The last month or so has been incredibly busy for us with book launch stuff and also still trying to get settled in our house. I’ve been really remiss at posting some Snippets recently. My goal is twice a month, but I’m not sure I do enough interesting stuff to really make that happen! Anyway, this is what I’ve been up to recently. Betsy and I made it a goal to hike more this year and so far we are off to a great start. 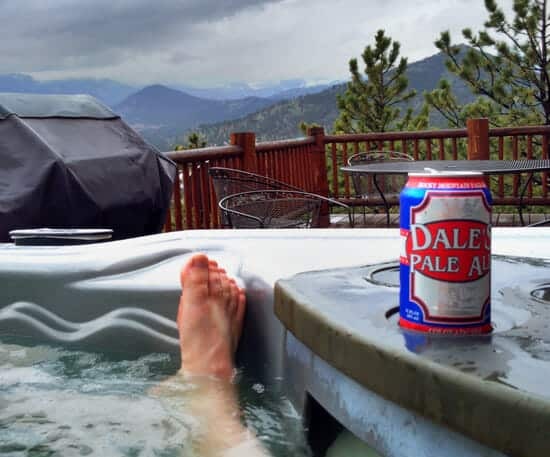 Two weeks ago we met a few friends in Boulder for brunch and then attempted to hike Bear Peak. We ended up not making it completely to the top, but it was still a great view! 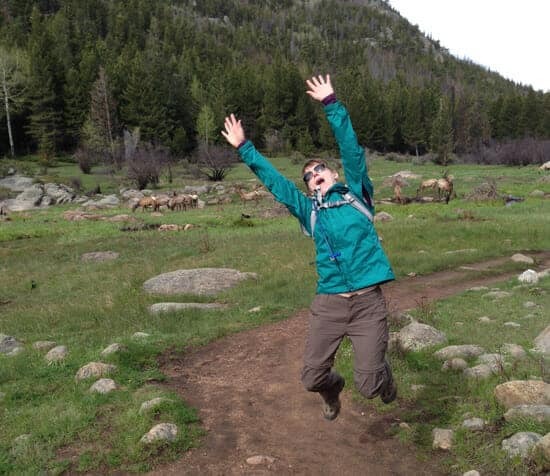 All told, the hike was around seven miles and around 1,500 feet elevation gain. Not shabby. 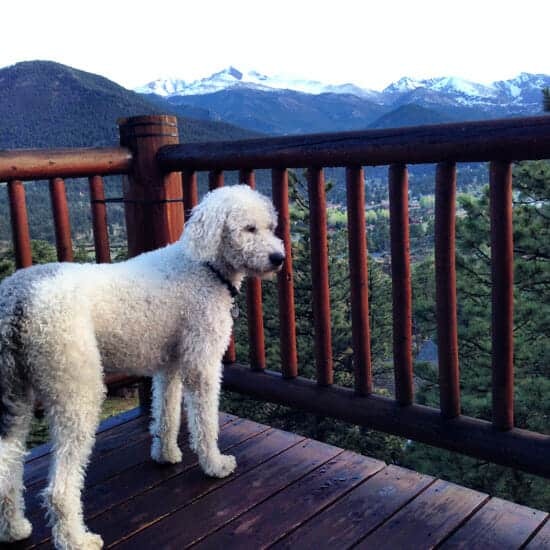 For Memorial Day weekend, we headed to Estes Park with Betsy’s family. 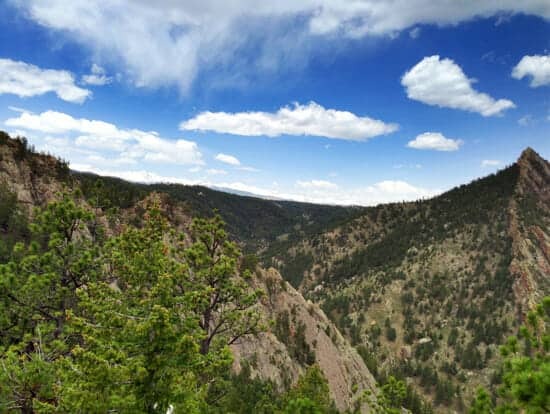 The goal was to hike all weekend and really explore the Rocky Mountain National Forest. Instead we were met with some serious storm clouds. This was the view from our house which turned out to be an incredible place to watch a storm. We only got in one hike all weekend due to weather, but we were out early enough to find a great herd of elk just hanging out on the trail. 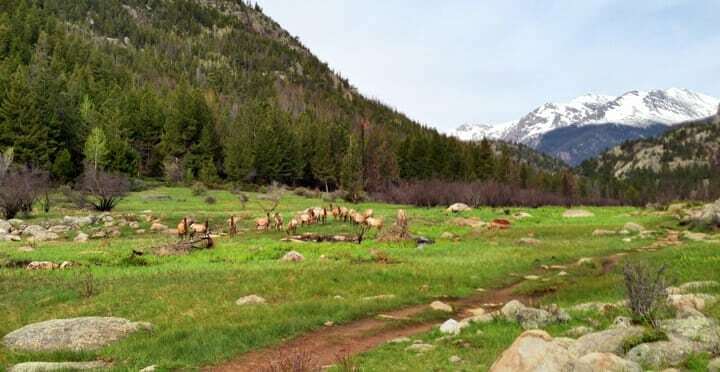 These elk were not scared of people. They were not even scared of a Betsy photo bomb. So we spent most of the weekend just cooking, playing games, and relaxing. This was my view for most of the afternoons. Definitely worse places to have bad weather for a weekend! We’ve really hit the ground running with some home projects on our new house. As Betsy’s mom told me, 90% of being a good home owner is keeping the water in or out. That has turned out to be mostly true for us also and our biggest project to date has been water-related. Long story short, there was some sewage work done on our home before we bought it. The company did a subpar job (I’m being polite with that assessment) and after they were done, the work area they dug up completely collapsed leaving about an 18 inch sinkhole next to our house. This sinkhole, in turn, broke our sprinkler system. So I had to dig up the entire line and replace it. 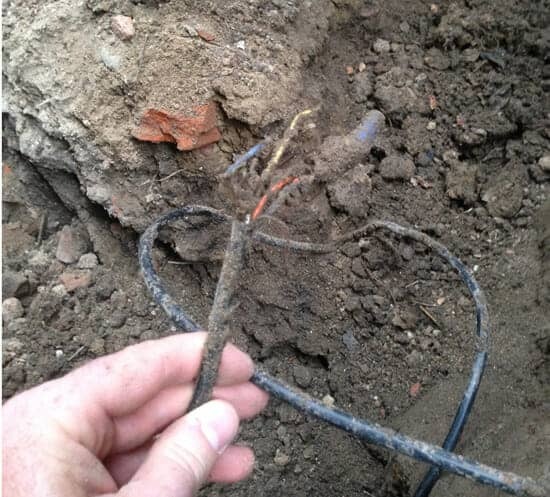 They also managed to somehow rip apart the electrical wiring for the sprinkler system! Luckily my step Dad is an electrician and gave me lots of instruction (and tools) so I could fix this myself. 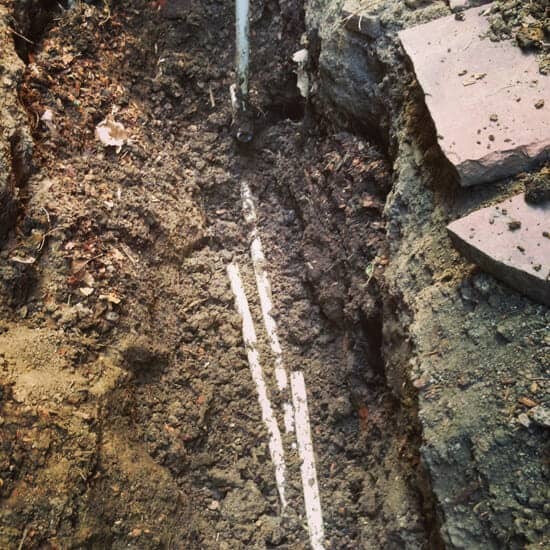 Also, turns out that the sinkhole work was covered by a warranty so the sewage company came out and repaired the hole and packed it in correctly which will hopefully mean that water doesn’t flood our basement in the future. 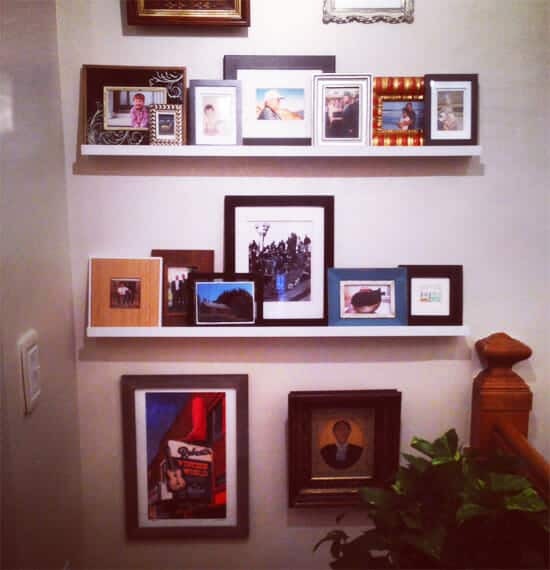 Meanwhile, we crossed off some quick projects like putting up our photo wall. While we normally hang these, we went with shelves this time which I think looks better actually. We also ordered a beautiful table from reclaimed wood. It’s my favorite and we’ve already had a few good meals around it. Ordering completed projects is also awesome. 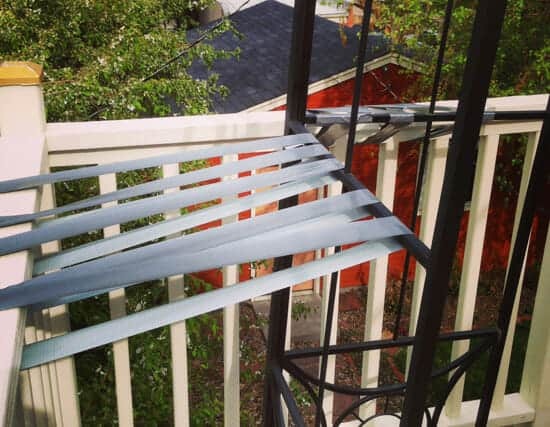 People make jokes about duct tape, but I’ve already used it effectively on one project. On a particularly windy day, a gazebo we had on our balcony became detached from the balcony and was going to blow off! Not if Dr. Duct Tape has anything to say about it. After the wind calmed down a friend helped me take down the gazebo and I sold it on Craigslist to cover my duct tape costs. 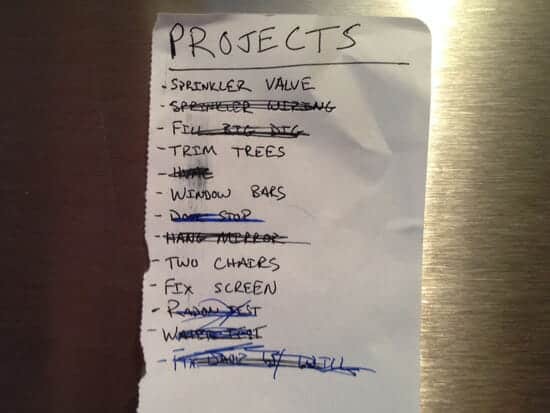 All in all, we’ve done good on the projects list so far. And don’t worry, there is already a second and third list ready to go when this one is done! I’m really happy with the response for the cookbook so far! It makes me blush like a baby to read the Amazon reviews. 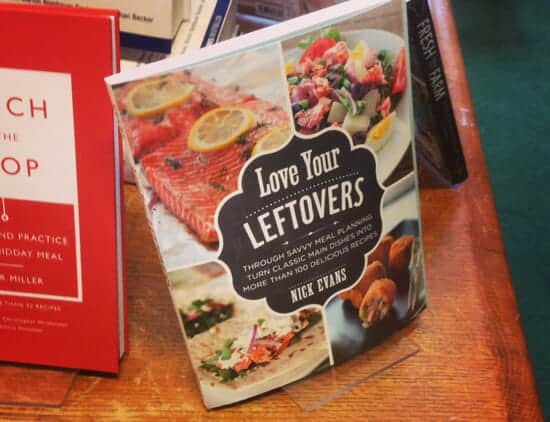 A quick update on some fun Love Your Leftovers things. 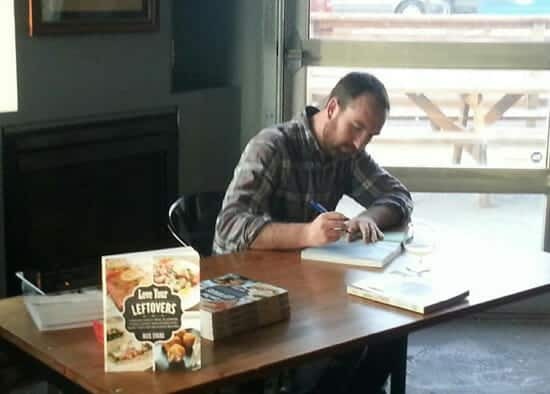 I did a fun book launch/signing party at a local Denver brewery a few weeks ago. It was mostly close friends who came out and I signed 40-50 copies which was a lot harder than I was expecting! My friend Allie snapped a pic of me deep in thought. 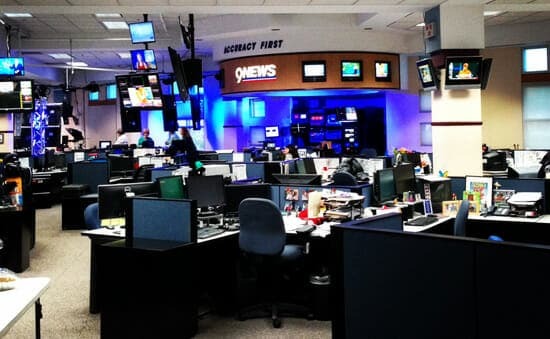 This was a pretty serious news room. And I happened to see the book on display at the Tattered Cover, a local Denver bookstore. That was like hearing my song on the radio! I’m also doing a more public book signing at the Tattered Cover Highlands Ranch location on June 4th so if you’re in the area, come say HI! 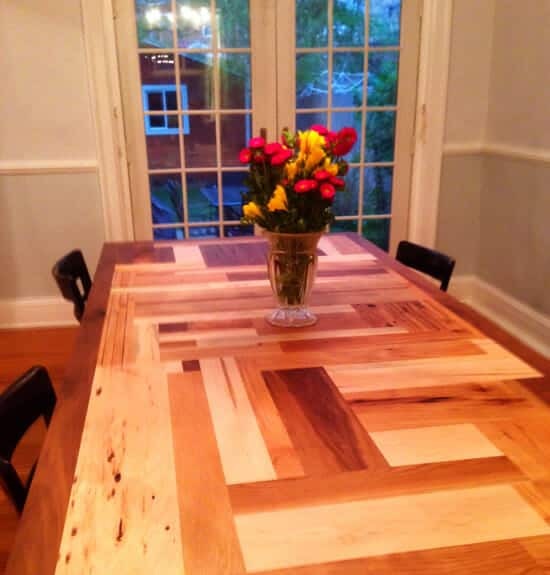 So jealous of all the great hikes out in CO, but even more so of that absolutely gorgeous reclaimed wood table. Would love to know where you ordered from! Rocky Mountain Table Company. They are definitely pricey if you order online but if you happen to be in the Denver area they have much better prices if you go in and actually chat with the makers to customize a table. They take their time (our table took 6 weeks) but it’s great quality. Wonderful post!! I really enjoyed the photos of your beautiful countryside and Porter. That table is magnificent. Enjoy. Also welcome to the wonderful world of homeowners. A new place to deposit your money. Porter is adorable, I love his color pattern, and that table is amazing! You should check out hiking to hanging lake this summer, I think its about 2-2 1/2 hours from Denver but worth the drive and gorgeous at the top! Oh yea. We hiked the hanging lakes while we were living in Grand Junction. Such an awesome hike. Beautiful at the top! You’re getting famous, Nick! And I agree that table is just beautiful. 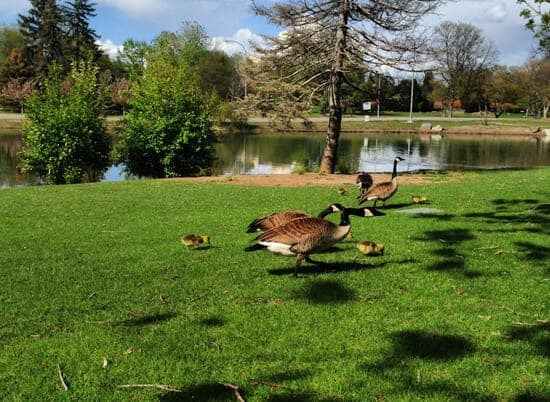 I think you’ll find, though, that those ducklings are goslings. ;-) The little ones are cute, but when they grow up they poop absolutely everywhere. That part isn’t so cute. 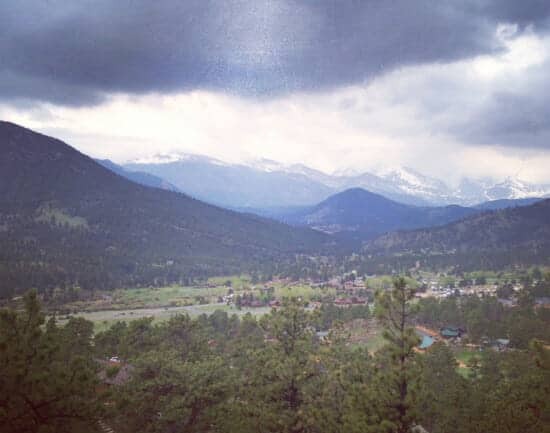 I visited Estes Park for a bit on Memorial Day myself – mostly I wanted to see how well they’d rebuilt the roads from last year’s flooding. There’s a lot of landscape up -34 and -36 that I simply don’t recognize anymore. If you haven’t yet, be sure to do breakfast at the Big Horn Cafe out on the West edge of town the next time you’re up there. Their short stack of pancakes is a solid breakfast for two and I’m not sure why someone would order the full stack of pancakes except on some kind of exceptionally tasty dare.